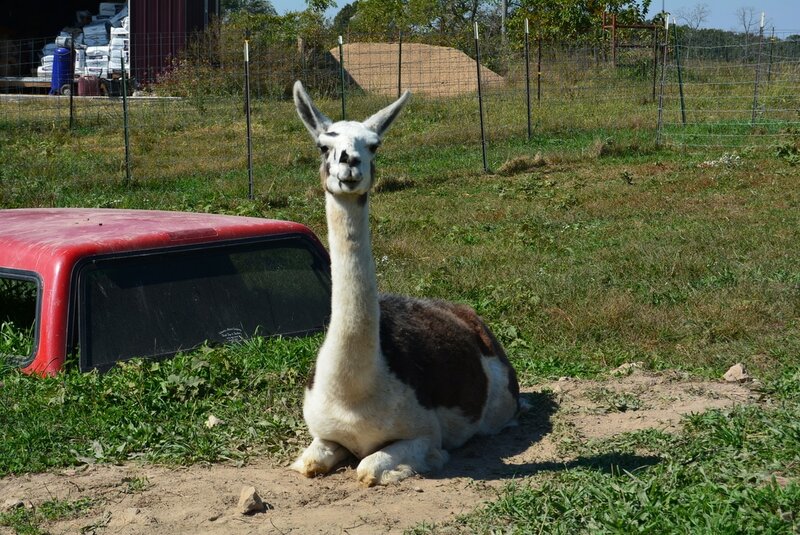 Our llamas are the guardians of the farm. They protect everyone from the bad guys like coyotes, foxes, hawks, and eagles. As an added bonus, they also produce significant amounts of fiber that we have mill-spun into appropriate yarns. 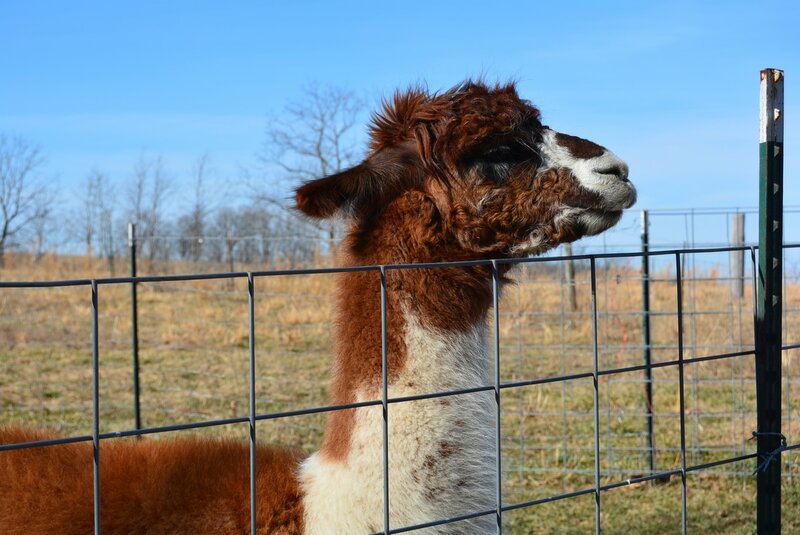 A couple of the llamas produce good fiber for rug yarns, but two of them produce soft, lush fiber that's next-to-skin soft! 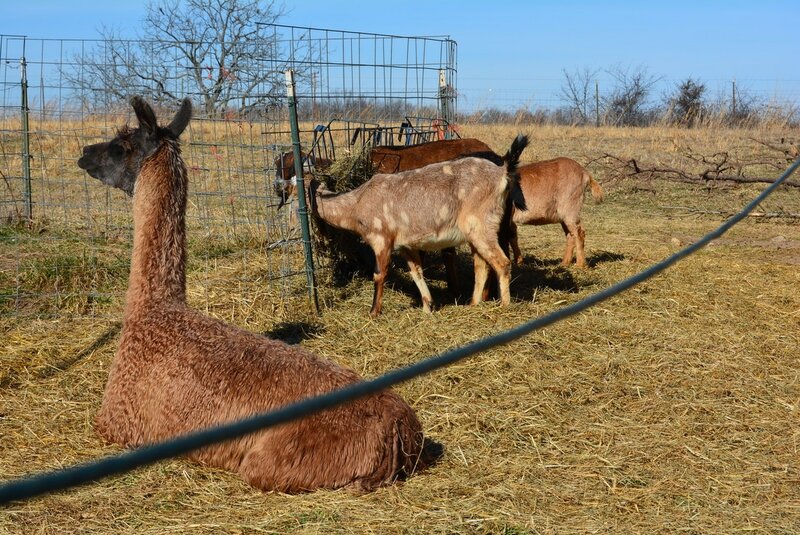 The llamas perform their guarding duties in a very different fashion from a livestock guardian dog. An LGD patrols its territory and strives to prevent predators from approaching. 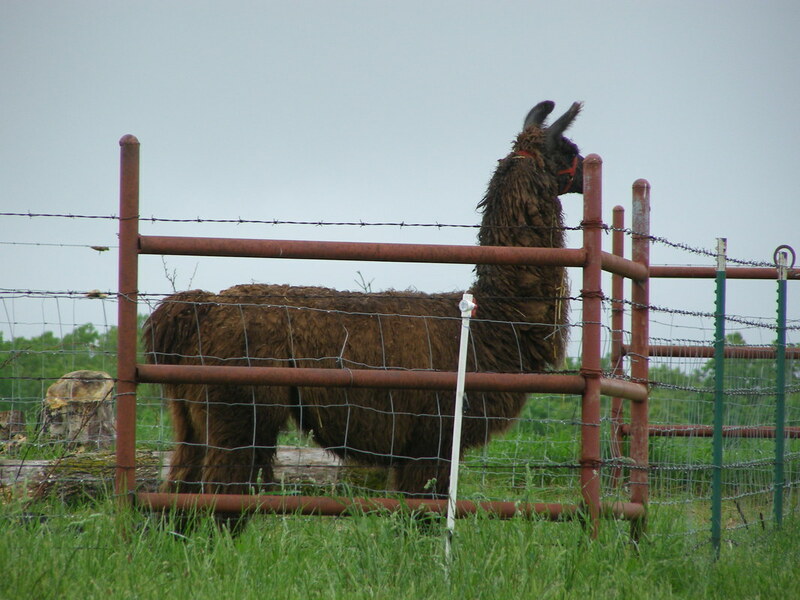 Our llamas stay with the herd all the time and never wander too far away from them, and if danger is detected, the llamas will round up the herd and chase them back to the barn. 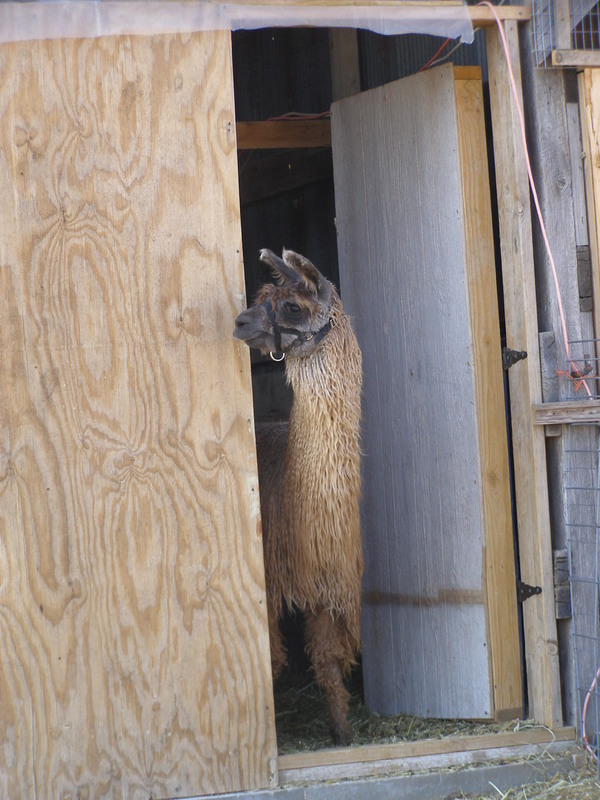 The llamas will then stand guard at the barn entrance and prevent anything from getting inside to the precious goats. 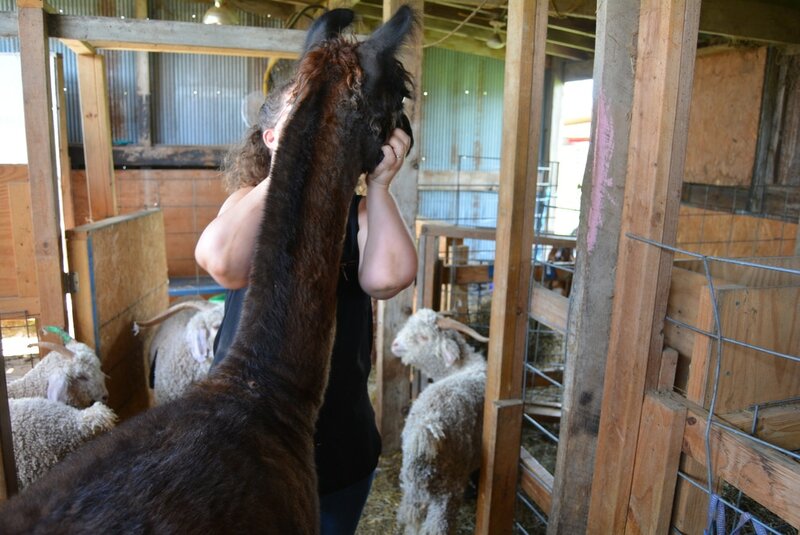 Our llamas show quite an array of personality ranging from very affectionate to a bit goofy and everything in between.